In France, the last business confidence survey showed that the trend of pessimism that had hit the country in November is finally coming to an end. However, confidence still has to be restored; the current economic mood is closer to a wait-and-see situation rather than a recovery. Is it possible that it is the end of the melodramatic surge in French pessimism? 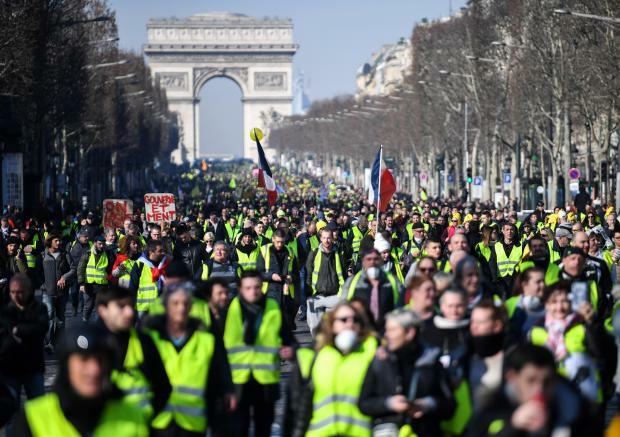 As the “yellow vest” movement celebrated its three-month birth-date last week, with a few thousand demonstrators across France, it was clear the national debate launched by the French Government allowed President Emmanuel Macron to take back control, at least temporarily. Hundreds of local public debates are being organised across France until mid-March when it is expected that the government will try to get something out of the many proposals being made. In the meantime, the pressure on President Macron has been eased, allowing him to regain some ground in opinion polls. In French manufacturing, the monthly statistics survey showed no change, at 102.8, in February, but it should be noted that this is mainly due to an improvement in the general outlook and recent production trends. Order books remained lower than at the end of 2018 and, for the first time since September, it seems to have taken a toll on the individual production outlook for the next three months. Therefore, this could implicate a negative impact on industrial production in the first quarter of 2019. On another note, confidence improved in the service sector, leading to a slight rebound in overall business confidence in February, the first rebound since November last year. PMI indicators that were released also back up this story. In the service sector, the index rebounded from 47.8 to 49.8 while the composite PMI indicator was at 49.9, indicating stable activity. However, they portend ill for employment growth; at these levels, hiring intentions could soon show signs of weakening. If the gust of pessimism has stopped blowing, the dust still has to settle. At current levels, activity indicators are only pointing to a limited rebound in the first quarter of 2019. If order books continue to worsen, the currently expected 0.4% quarter-on-quarter GDP rebound could dissatisfy. Nonetheless, with job creation still positive and with inflation falling (the final figure for January was 1.2%, down from 2.3% last summer), real wage growth could speed up and lead to a rebound in consumer demand. The drop in foreign demand due to Brexit and Trade War uncertainties could get compensated by the latter point. Given the weaker European economic setting that is expected in 2019 and 2020, the main forecast is that GDP growth will return to potential, or 1.3% year-on-year, in both years.